I will happily admit to being a lover of sweets, of candy and yes, of chocolate – both white and dark. It be helped. My mom is to blame, as I’m certain she passed her ‘sweet tooth’ right on to me. 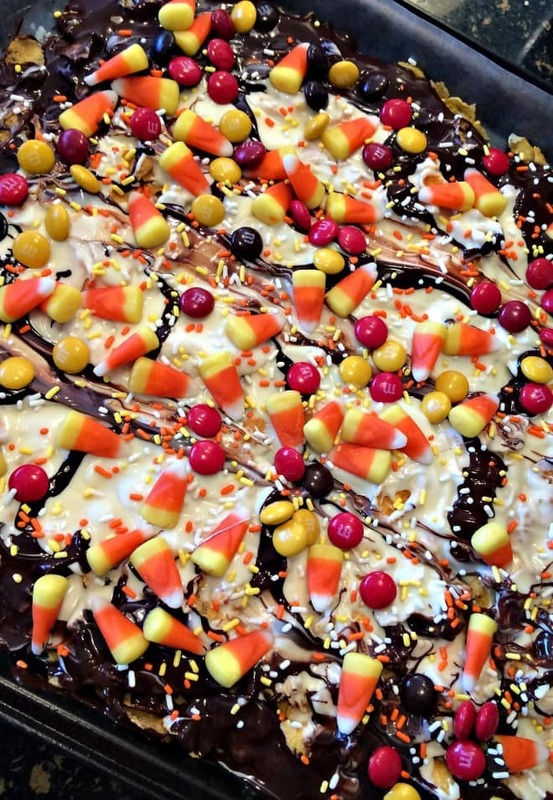 This means, I rarely miss an opportunity to create a holiday related treat that both my family and I can enjoy. 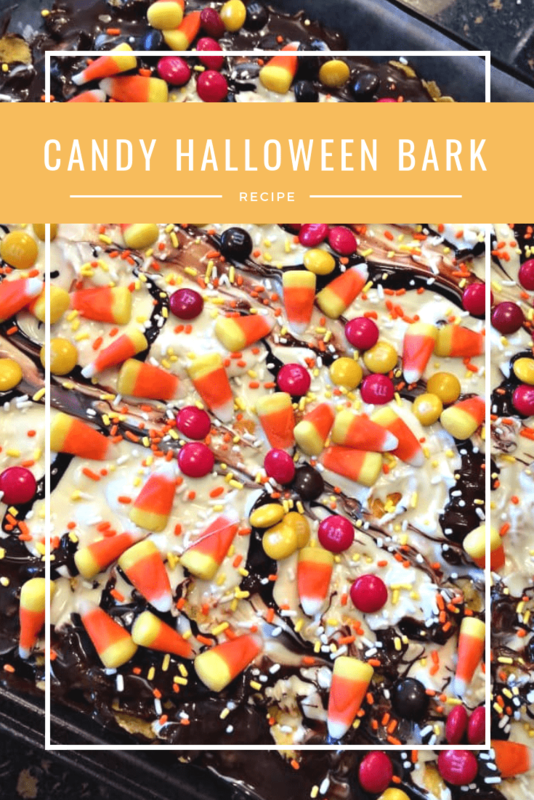 My small people are fairly easy to please when it comes to sweets – but add some of their favorite ingredients and they are hooked. It’s a treat we’ll also by sharing at our annual Halloween ‘Trunk or Treat’ festival. Hosted by the school, the kids dress up and ‘trick or treat’ from one car to the next in the school’s parking lot. It is a safe and fun environment allowing the kids to spend time with their friends and support their school (and come home with plenty of candy a FULL WEEK before Halloween). 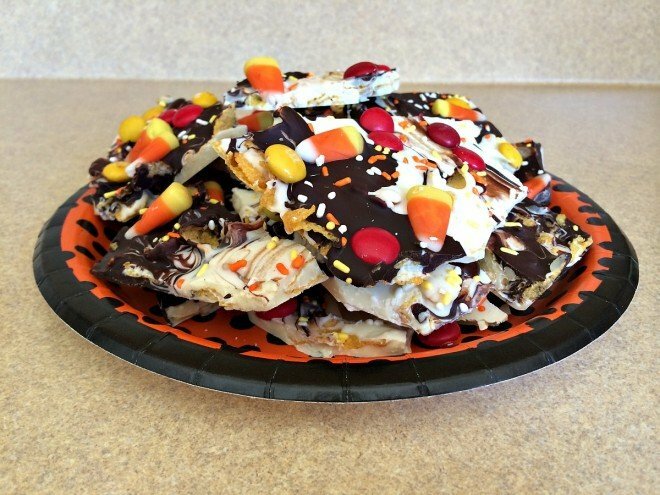 Easily a favorite -this treat is easy, delicious and fits right in with the holiday theme. 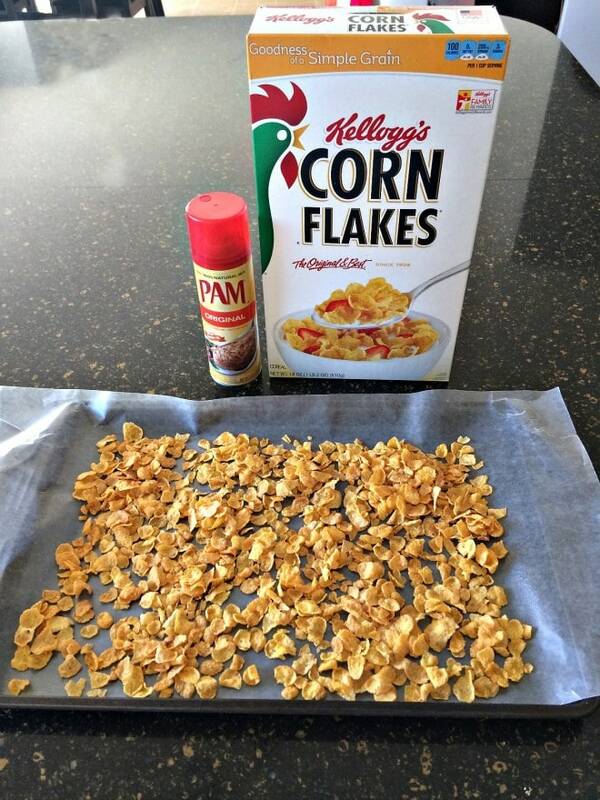 Put the entire pan in the refrigerator for an hour, peel the wax paper away and break apart. Keep leftovers in the fridge to keep them from getting too soft. Have you tried this before? 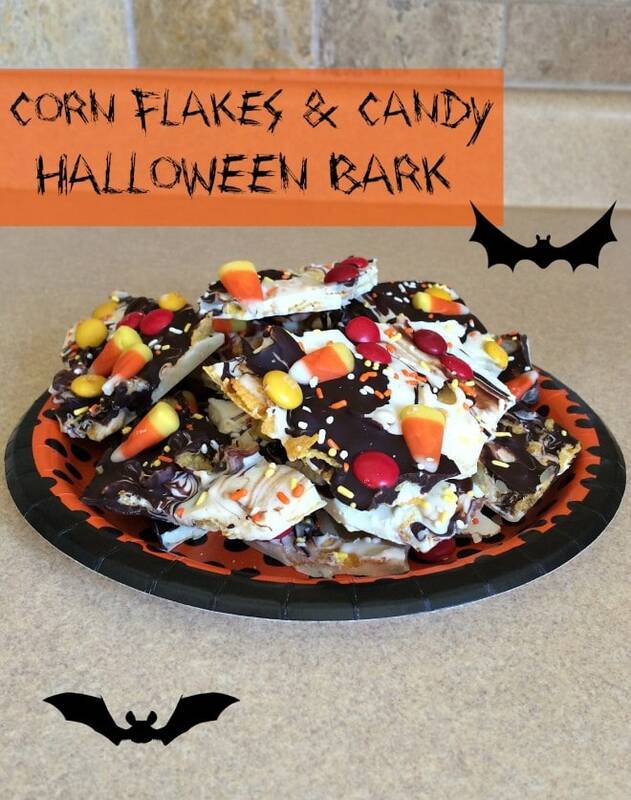 I LOVE the combination of the sweet (the chocolate) and the crunch (the Corn Flakes) and my small people do too. I can’t wait to hear what you think. 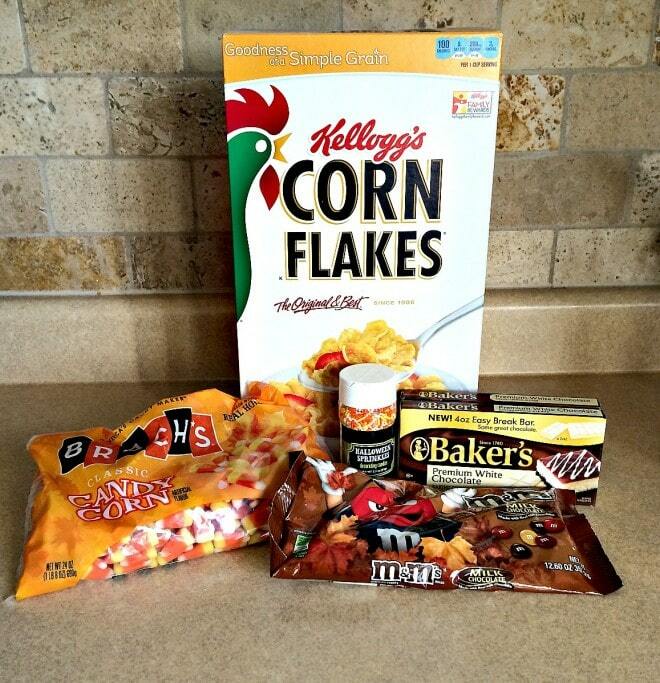 Disclosure: I am proud to have had a long-standing relationship with Kellogg’s and so enjoy sharing all kinds of posts with you – from focusing on breakfast to recipes like this one. As always, all thoughts and opinions shared here are mine and mine alone. OHH this is so different and sounds delicious. My son would love this. And it is so very easy! !